Those of you who have been lucky enough to canoe through many routes in Killarney, Temagami, Algonquin, Quetico, Wabakimi etc. What's your all time, favorite lake/route? One that simply took your breath away and if you had only one trip left in you that would be the place you'd go without hesitation??? Lake Superior coast though Pukaskwa to Lake Superior Provincial Park. Out of this world and best scenery in the province IMO. Varried with coastal mountains, cliffs, two forest types (Boreal and Great Lakes, St-Lawrence), Fijords, beaches, waterfalls... The list goes on and on! I love pukaskwa. I did the Coastal Trail solo a few years ago. The campsites were spectacular and I even saw the northern lights! The only drawback was that it took 14 hours driving to get there!!! Killarney, Temagami, Algonquin, Quetico, Wabakimi, etc. 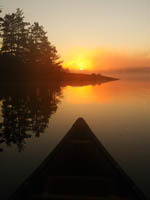 may all be excellent canoe areas Killarney and Lake Superior are two areas that offer stunning scenery. I realize you mentioned lake routes but seeing the thread forming I thought I would mention this river. if you get a chance do the Pukaskwa R in spring. I've done a lot of rivers across Canada and this one holds up against the best of them. Scenery, white water, some good camp sites and you finish at Lake Superior. Add "good speckled trout fishing" to the list of the Puk's virtues. 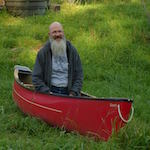 I've been paddling for about 40 years. Over the years I've tried to paddle remote rivers and lakes to allow myself and my fellow paddlers to become immersed in the wilderness. I've lost track of how many times I've paddled to coast of Lake Superior from Pukaskwa Park to Wawa, sometimes in a group, once solo. The scenery is amazing and the quiet is so relaxing. I've also paddled from Wawa to the southern edge of Lake Superior Provincial Park - beautiful, but not as remote and spectacular as the Pukaskwa coast. 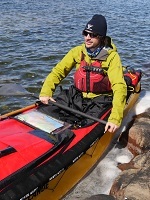 The Pukaskwa River is a beautiful trip but only for very experienced whitewater paddlers. All in all, the Superior coast is the most beautiful place I've ever paddled and I'd love to do it again but I doubt that's going to happen. I also hope this subject doesn't encourage scores of paddlers to descend on the Superior coast and spoil the peace, tranquility and beauty found there. No worries here, I am deathly afraid of whitewater paddling and am no where near experienced enough to paddle the superior coast. The quasi-remoteness of Pukaskwa keeps a lot of folks away I think. Honestly when I posted this thread I didn't think it would produce the unanimity of answers!! So I will pose to you (Al) a follow up: after Superior Coast what would be your second choice?? My second choice? That's a really tough question. Can't pin it down to one location but among my favourite trips: Sand River in LSPP; Missinaibi River from Missinaibi Lake through to Moosonee (done in 2 phases); Pukaskwa River and the Churchill River in Saskatchewan. Don't sell yourself short and miss a treat. The Superior coast is breath-taking, and it doesn't demand a super-high level of competence. Just a sense of caution and decent quality equipment. And enough smarts to get off the water if the need arises. If you talk to the park staff at LSPP they will tell you that the real danger on that coast is to powered craft, because there are few places to take shelter and you can't just pick them up and drag them ashore like you can a canoe or kayak. That area has to be top of my list , too. For rivers? The Spanish, I think. The other safety factor when you're paddling on Lake Superior is maps marked with the location of as many campsites as possible. Why? If the wind starts to rise, it can stay up for a long time making paddling impossible. You need to know how far it is to the nearest campsite, either forward or back, in case you have to spend a few days watching the lake boil. Not much fun spending a night or 2 at a site where you can't pitch your tent or get far enough back from the shore to stay dry. The other safety factor when you're paddling on Lake Superior is maps marked with the location of as many campsites as possible. Hi Steve. A personal annotated map of the Pukaskwa coast can be found in the Routes forum. Just scroll to the bottom of the trip report for the PDF file. Use at your own risk. We used this mapset for our trip. I can vouch for it. Few extra campsites here and there, but it's excellent to get you planning, and into a safe haven should winds and waves whip up.